My daughter keeps talking about what she is going to be doing when she gets older. What she is gong to do when she can drive, when she goes to college, when she gets married. I know to her that feels like a hundred years away—but as we all know “growing” up comes here before you know it. So the other day, I asked myself what will “marketing” be like when it grows up. Kind of a crazy to think about isn’t it? I remember, like it was yesterday– being asked to create the first website for a company so it could be the industry leader in having a the first website— and now everyone, even your kids dog walking company has one. It was just in 2009 when we created The Temp Life, a web based TV integrated with all social channels —that was deemed by Fast Company as a “bona fide phenomenon” And, as One of Brand Weeks bright ideas. Let’s face it now WebTV and You Tube are just part of a marketing mix option. And, having social media pages, well who doesn’t? In the immediate future, viral sharing, workforce marketing, new social channels ,use of big data and mobilization are now top of mind. And, each and every marketer is trying to figure out how to make them work for their target audience. We all know what is cool today– will be ho-hum tomorrow. Really if you think about it–it was only about a 100-125 years ago that the printing press, motion pictures and the phonograph were invented. And now in someways they are dinasoaurs. . So, where will technology take us over the next 100 years? 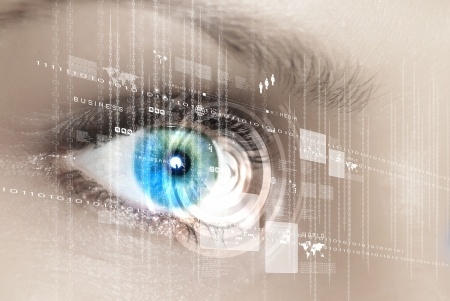 Will marketing become like a science fiction movie—reading customers thoughts telegraphically. It already feels like that the way facebook seems to know I have a new puppy so I see dog food ads. Big data in someways is the marketers dream. But how far is too far, and when will it start to turn off our clients and customers.How will we communicate in the future. Will we even use words? Will the other senses be included more in our everyday marketing communication? Tasting something via our electronic devices, having a virtual experience such as driving a new car happen in our livingroom– with feel, sight,smell a part of the experience. I really love to think about it. So what do you think Marketing will look like in the next 100 years? And at the rate technology is changing, I think we will start to see some really cool stuff in our lifetime! https://www.digitalinfusion.net/wp-content/uploads/2014/05/white_logo.png 0 0 Lisa McCarthy https://www.digitalinfusion.net/wp-content/uploads/2014/05/white_logo.png Lisa McCarthy2016-05-22 11:23:022016-08-04 12:42:53What Will Marketing Look Like In The Next 100 years?